Rockcreek Batch Plant | St. Henry Tile Co.
Plant 5 in Wells Co., near Markle, was constructed on the site of Rockcreek Sand and Gravel. 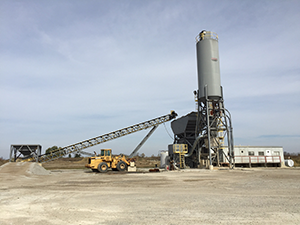 Plant 5, a satellite location, allows our ready-mix trucks to take on jobs into Huntington, Wabash, Allen County and beyond. Our customer base expanded considerably after adding this location. Please give us a call at 260-589-2880.